What glorious weather we have been having over the last few days, dare I say it… Spring has officially sprung after a very cold and what felt like an eternal Winter. I hope I’m not alone when saying this but, the good weather has seen us make the awaited return in to our own garden since probably last Autumn. Hands up if the lawn in your area is worse then you imagined?! Hey, don’t worry about it, you are most definitely not alone, and our phones have been hopping this week with 100s of potential customers with the same complaints. With the warmer days a head of us (fingers crossed) our gardens better yet our lawns are now starting to come to mind as we plan on spending more time outdoors enjoying the sun. What a better way to spend an afternoon then out in your own back garden in the comfort of your own home with the sun shining. Well let me tell you, I know what’s better, having an artificial lawn installed by us Sanctuary Synthetics that’s what! You can enjoy your down time in your garden even more as maintaining your lawn will be a thing of the past and you can retire that lawn mower for good. Artificial grass is the perfect option for people who love the look of a natural lawn but do not have the time to devout to maintaining it. Our artificial lawns are extremely realistic looking with many passers ‘by having to do a double take, saying to themselves is that a real lawn our artificial lawn many of them left baffled with the response that it is indeed artificial as it looks so natural. Our artificial grass is not only good for warmer weather it is suitable for all year-round use. 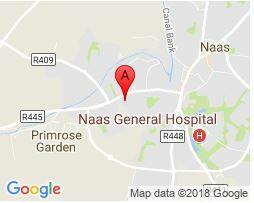 With Ireland’s crazy weather, our artificial lawns are in one sense weather proof as sun, wind, rain or shine will not affect your artificial lawn in any way. The pros of artificial grass are endless for example when we have a heavy rain shower (let’s face it this happens more often then not), once the rain has stopped the artificial grass dries extremely quickly so there is no more cabin fever for the kids as they are free to run and play with no fear of muck being dragged throughout your home from little mucky shoes. 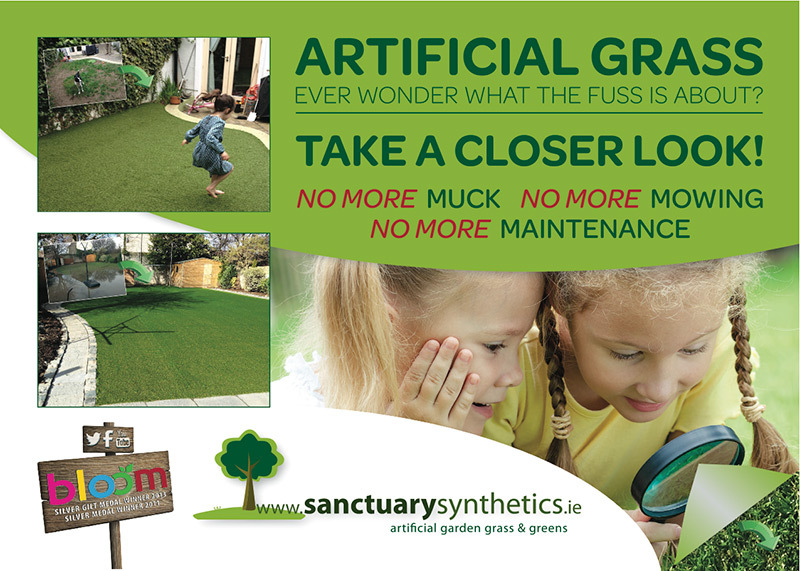 Our mantra here in Sanctuary Synthetics is no more muck, mowing or maintenance and that is what we aim to delivery on a daily basis. We have transformed over 4,000 lawns in to artificial lawns. We pride ourselves on our workmanship and strive to give our customers the artificial lawn of there dreams, just like this stunning artificial lawn transformation in Dublin.